The Adobe Marketing Summit will always be a little different for me than any other conference. Five years ago, I attended my first Summit while I was still a college student. The more people I spoke with, the more I knew I wanted to be an analyst. I hung on every word spoken in each breakout session. I remember making a mental goal for myself that I’d find a way to get a job in the industry, and present at a conference like Summit one day. As fate would have it, during one of the lunch hours I sat down at the same table as Charles Davis (our VP, Solutions at Blast) and the rest is history. 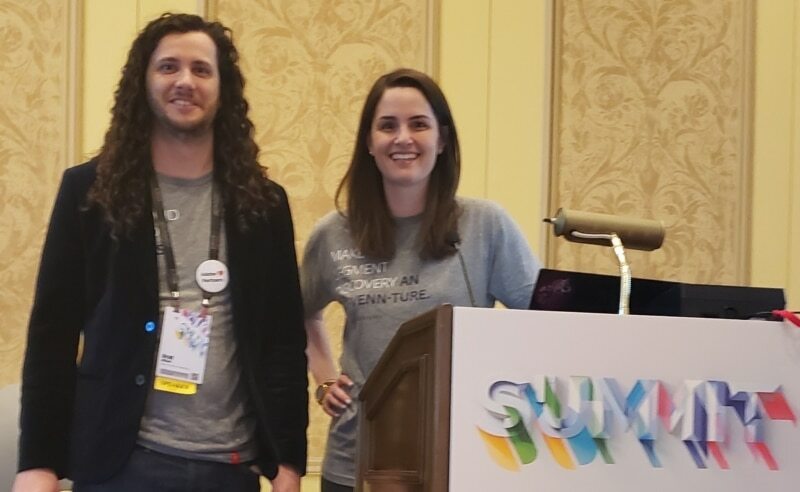 So when I was invited to speak at Adobe Summit 2019 I could not have been more excited to bring everything full circle and share my passion with the analytics community that continues to inspire me to Make My Mark. If you’ve ever been to a session at Adobe Summit, you know that every session has a specific theme. 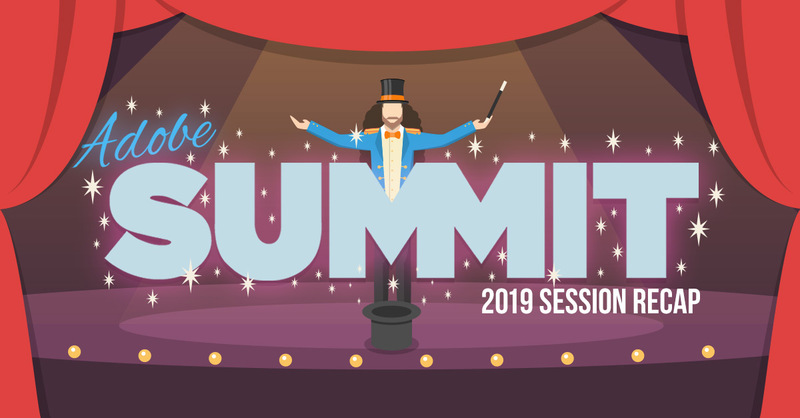 The theme for our session at Adobe Summit 2019 was magic. 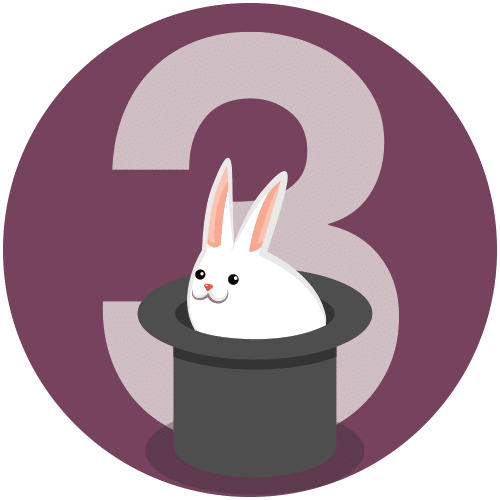 If you’ve ever presented a particularly good insight to a client or a stakeholder, it can sometimes feel like you’ve just blown their minds with a magic trick. Much like magicians, however, the audience doesn’t always see or know how much work and preparation went into that magic trick. 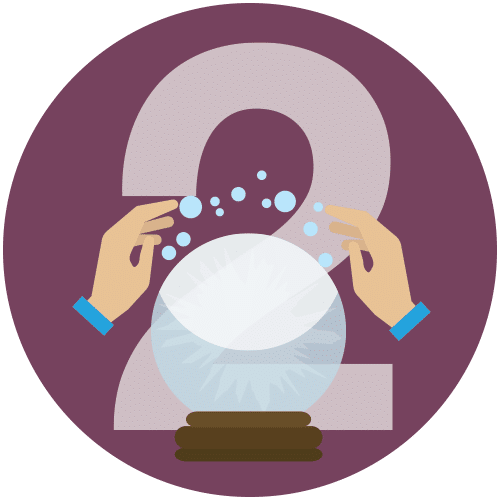 Note: The analytics tips we shared were meant to help experienced analysts perform these “magic tricks” more often, and with less effort, to help new users get up to speed quicker, and to help executives perform tricks of their own. It’s not uncommon for me to build a dashboard and want to be able to see both the long term trend of my data, an also the short term dips and spikes. 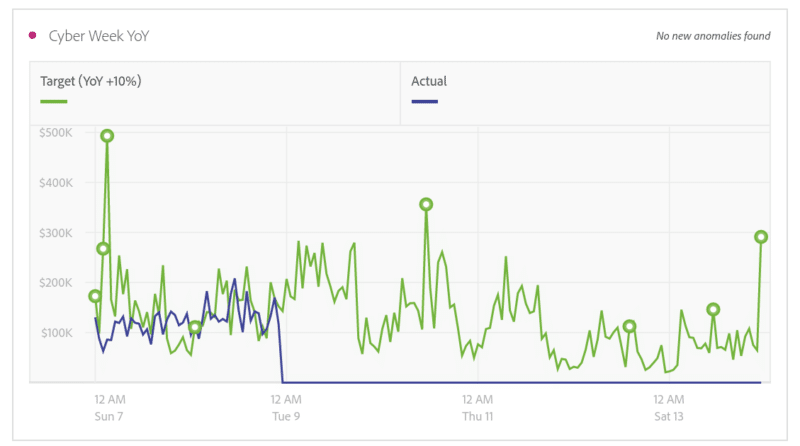 For example, I may want to see my data trending over time in a weekly granularity, and also want to be able to identify specific days where we performed well, or poorly. It’s not uncommon for me to build a dashboard and want to be able to see both the long term trend of my data, but also see the short term dips and spikes. Click & Tweet! One easy solution would be to simply have 2 charts next to one another. One with the weekly trend and another with the daily trend. However, in order to not overwhelm the end user, real estate on a dashboard should always be considered a hot commodity. So I don’t want to waste that space with two charts showing the same thing. So that rules out this option. Another option would be to just have a single chart and leave instructions to the end user on how to change the granularity manually. This is okay, but the less a user of my dashboard needs to think, the better. So that rules this option out as well. The good news is with calculated metrics we can make a chart that shows both at the same time. To get started, find the “Cumulative average” function and drag it to the canvas. Then bring in whatever metric you would like to trend into the metric area. Here you can specify how many periods you’d like the average to be calculated over in the “number” area. You can see in the screenshot below that I have specified 10 periods. Hit save and you’re good to go! I suggest adding multiple periods to a chart. It is valuable to see when, for example, a 10-period moving average crosses the line of a longer average such as a 50-period moving average. Something that is even cooler about this is if you were to then decide to change the granularity of the report to be hourly, the metrics will still work. They will “flex” along with whatever granularity the chart is made of. Thus, if I change it to hourly, the moving average will be calculated over the last 10 and 50 hours and so on. While targets weren’t the prettiest feature in Reports and Analytics (then again… what IS the prettiest feature in Reports and Analytics? ), and they weren’t the most robust either, they were definitely helpful to put your data into perspective. Since the release of Adobe Analysis Workspace I’ve tried out a number of ways to create targets. Sometimes successfully and many times not. Lately I have taken to using the Cumulative function in Calculated Metrics to get that job done. 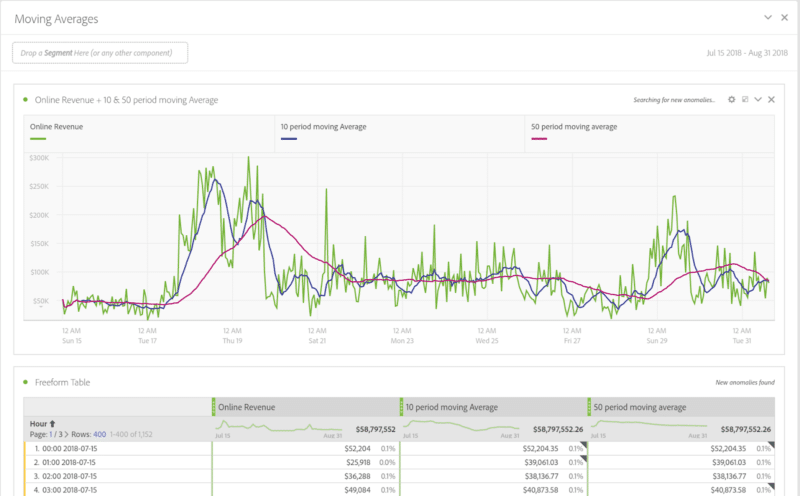 It’s cyber week 2019 and your team needs a dashboard that shows the status of their cyber campaigns compared to last year, and they need to see things in real time to know if they are reaching their targets or not. Their target, by the way, is to beat last year’s numbers by 10%. The problem I’m sure everyone reading this has run into before is that if you try and compare cyber week last year (which has already been completed) to cyber week this year (which is still going), you’re always going to end up with a scorecard that shows this year doing worse than last year. Sure, you could create a rolling date range that will continuously update, but sadly, your options are to either have it include today or not include today; there are no hourly rolling options. This means your dashboard is either going to always say this year is underperforming (yikes!) or it will be missing today’s data altogether (double yikes!). It’s as simple as dragging the cumulative function over, typing 0 in the “number” area (this will assure the function adds up all of the days within the date range), dragging over the metric you want to trend into the “metric area,” and then adding a static number at the bottom as your multiplier. You can see that last year we started out with a bang and then dropped down a bit before slowly tapering off. This year, however, even though it didn’t start off as hot, we have maintained a steady pace due to a different marketing strategy. Great, good, fine, ok. But at the end of the day, have we reached our target or not? It’s not easy to tell from this chart alone. This chart is quite easy to read and we can still see the same quick start last year — but now we can also see that we have been closing that gap as time goes on. 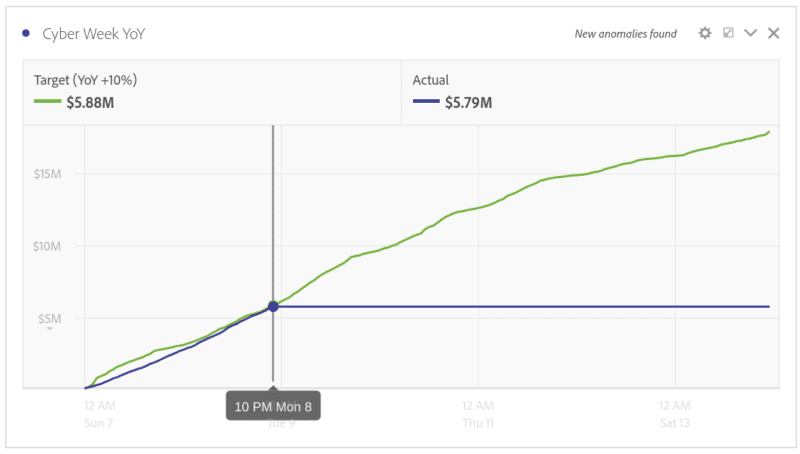 When we hover over the latest data we can see that gap is now about 90k and shrinking. When the blue line goes above the green line we know we are above our goal. It’s as simple as that. By nature, executives are curious. They want the ability to see the most important numbers and be as up-to-date as possible. But as soon as you put a report in their hands, their inevitable next steps are to start asking deeper questions, thinking of different ways to slice the data by a certain dimension or segment. By nature, executives are curious. They want the ability to see the most important numbers and be as up-to-date as possible. Click & Tweet! If you have built a static report, this will only cause you grief and pain. This is why I love drop down filters so much. They have saved me so much time, and kept many emails out of my inbox, more than any other feature that has been released in a while. 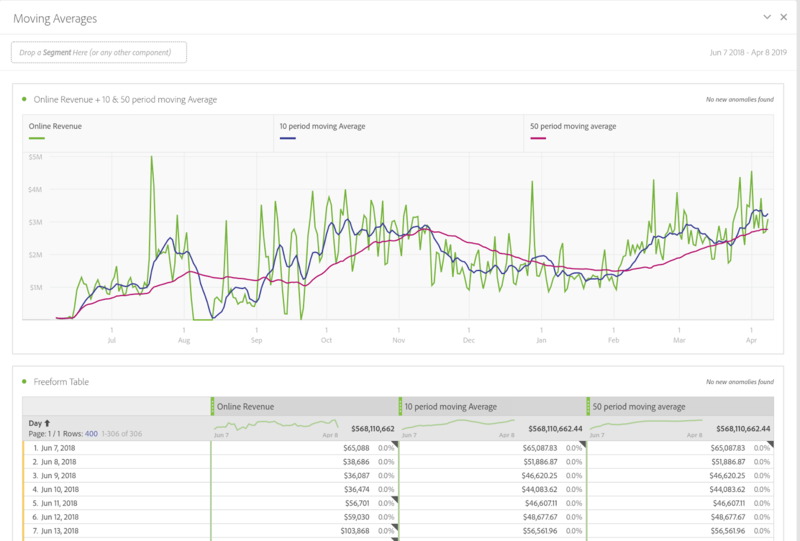 Let’s say you have just built an insightful dashboard about subscription types to give to your executive. 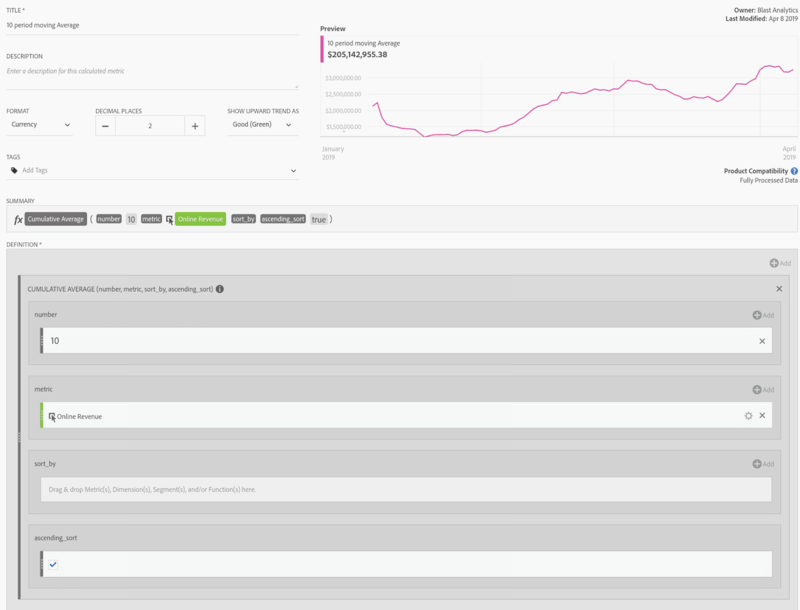 However, you know she’s going to ask to see this same dashboard segmented by just email or paid search visits. Of course you could tell her to search for the paid search segment in the curated components available to her in the left rail, and then hope and pray she drags it to the correct spot on the report. Or, you could just use dropdown filters to make both of your lives easier. Let’s say you also know there has been a huge emphasis on finding new visitors and improving their experience. With that fresh on everyone’s mind you know the next question is going to be: “what about new vs. returning visitors?” Easy. Just take the new visitors segment and bring it to the drop zone, then get the return visitors segment and bring it on top while holding shift. This is so incredibly easy and it puts so much power in the hands of the end user. People look at dashboards because they have questions. If you’ve built a good dashboard, it should inspire new questions. If you have built a great dashboard, the user should be able to dive deeper and answer those questions simply and quickly. The best part about these dropdown filters is that they can be built with any component. Try them with segments, dimensions, and even date ranges. Like I said, these have saved me from getting countless emails asking me, “how do I see this report just for natural search?” Any feature that helps me answer deeper business questions, without someone having to ask for it, is a winner in my book. 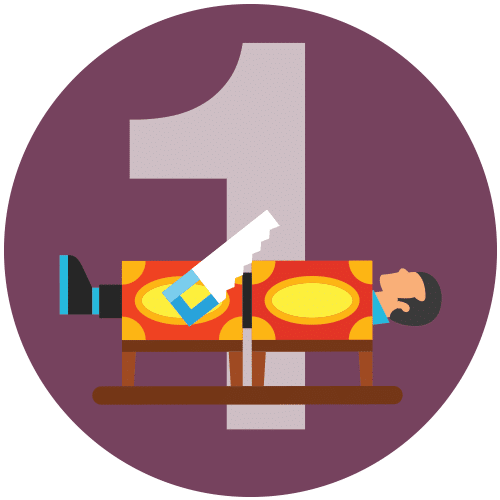 There are so many more tips that I could have shared from not only my 2019 Adobe Summit session, but many other sessions I attended. 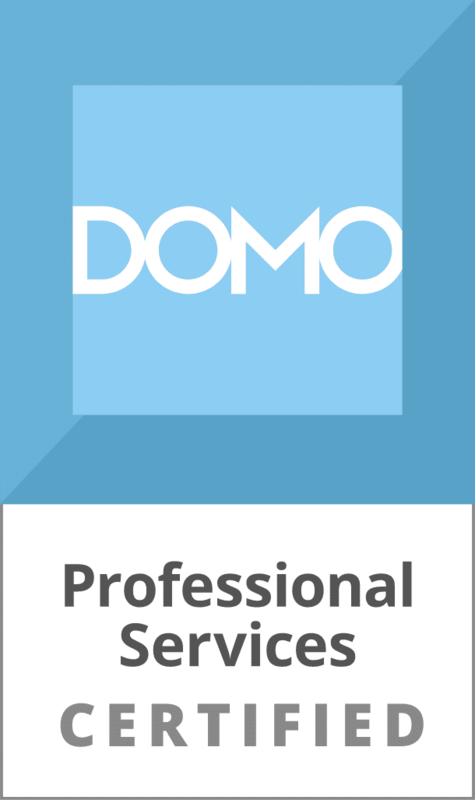 If you’d like to view all of the Adobe Analytics Analysis Workspace tips we went over, you can view the session recording here: Making Confident Decisions Quickly: Analysis Workspace Tips and Tricks. Or you can find the rest of the tips we presented here: adobe.ly/aaworkspacetips. I’d love to hear what your favorite Adobe Analytics tip was from anyone who attended, or watched the session recording. If you have others to share, I’m all ears!